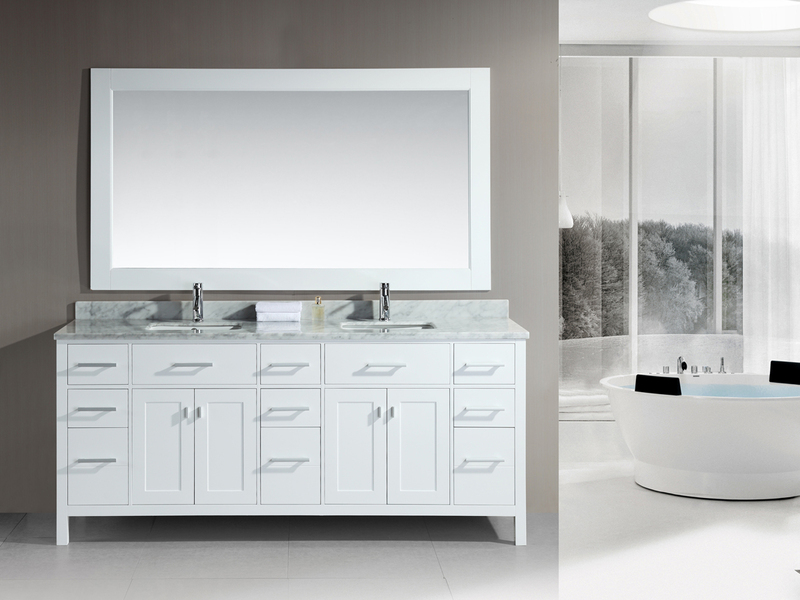 The London White Double Vanity has an elegant and understated style, with a clean look perfectly suited for a modern bathroom. 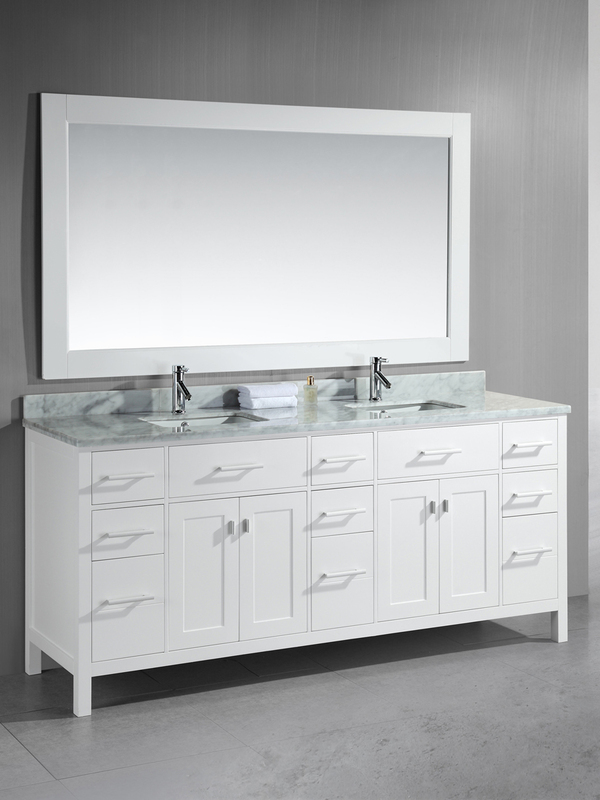 The gorgeous carrara marble counter is mounted atop a sturdily constructed solid hardwood vanity, mating style and design quality. 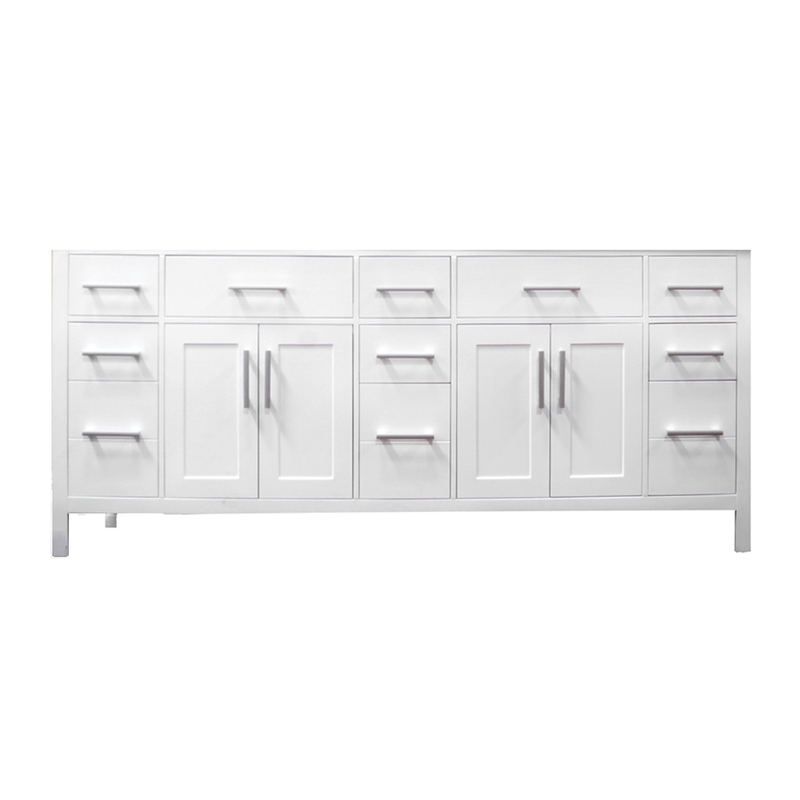 The vanity includes two drop down sinks with a matching framed mirror that spans the length of the vanity. The nine drawers and two cabinets give this vanity plenty of storage space for everything bathroom related.